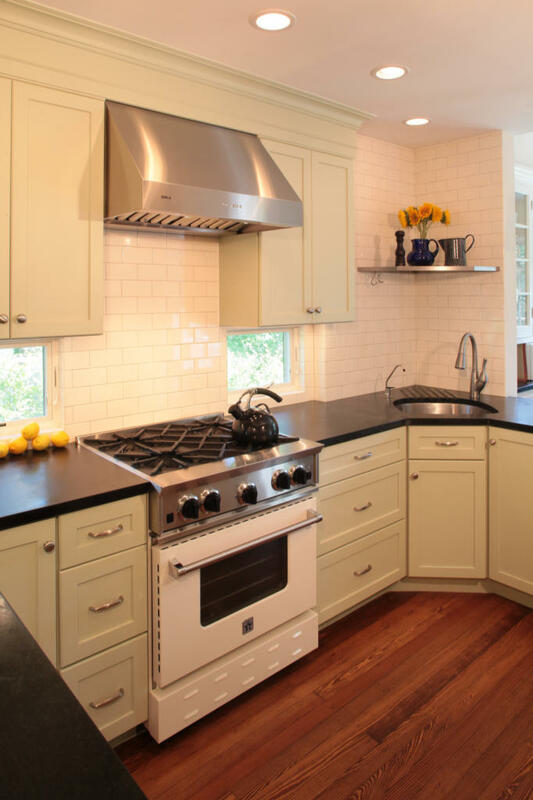 This project consisted of renovating the existing kitchen and opening it up to the dining room where additional storage and window seat were built. 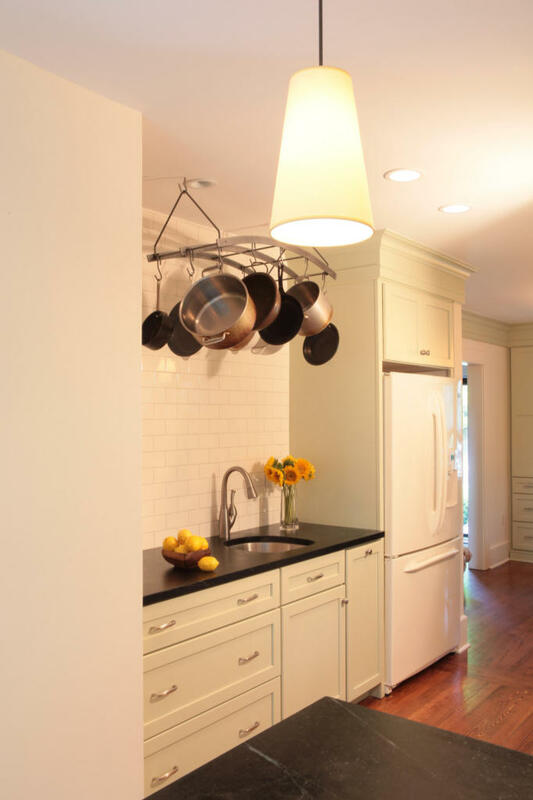 Windows were installed underneath the kitchen cabinets to let daylight in while not losing valuable storage space. 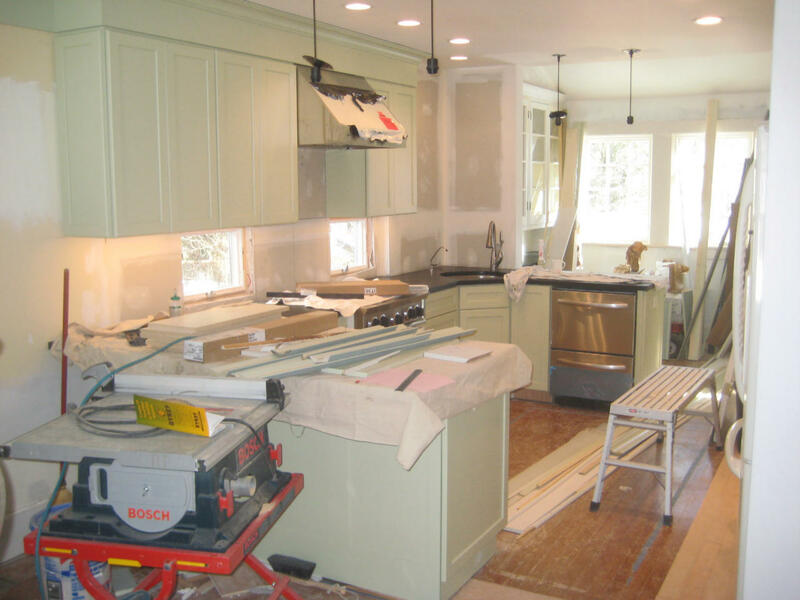 Kitchen after construction. 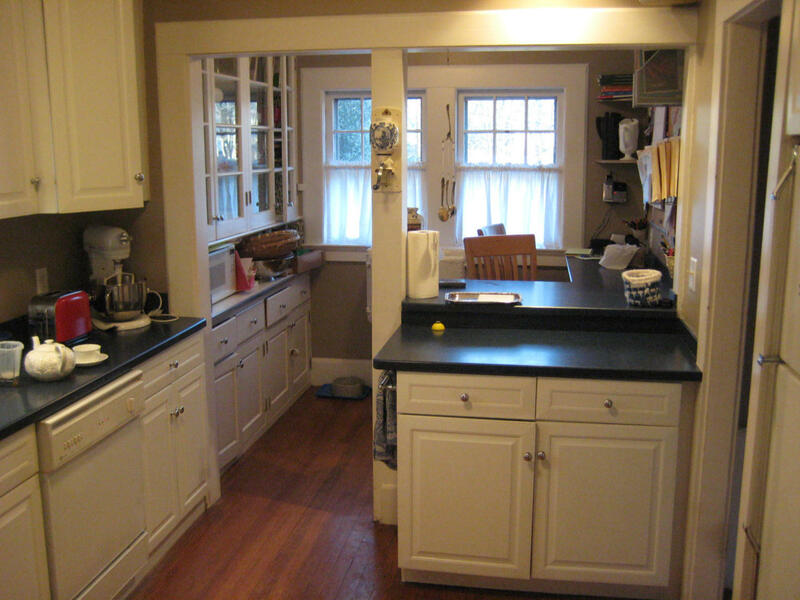 Note windows under cabinets. 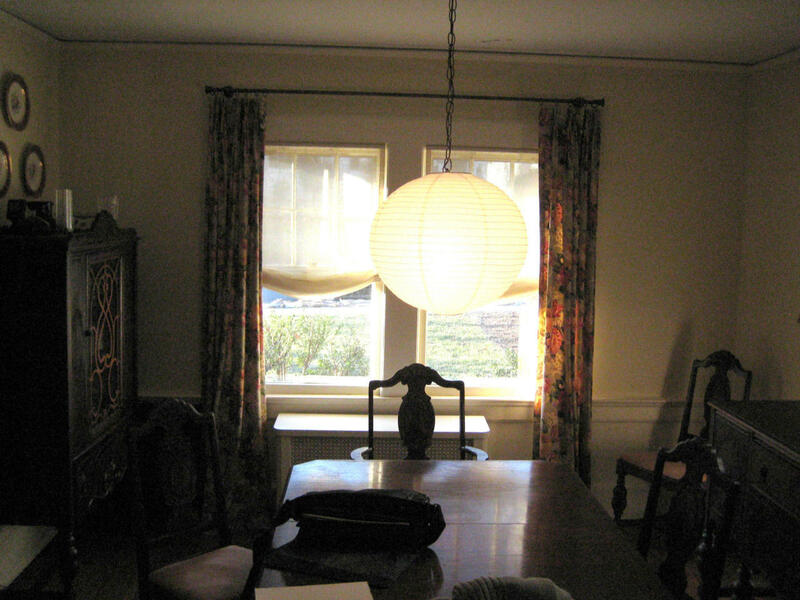 Dining room after construction. 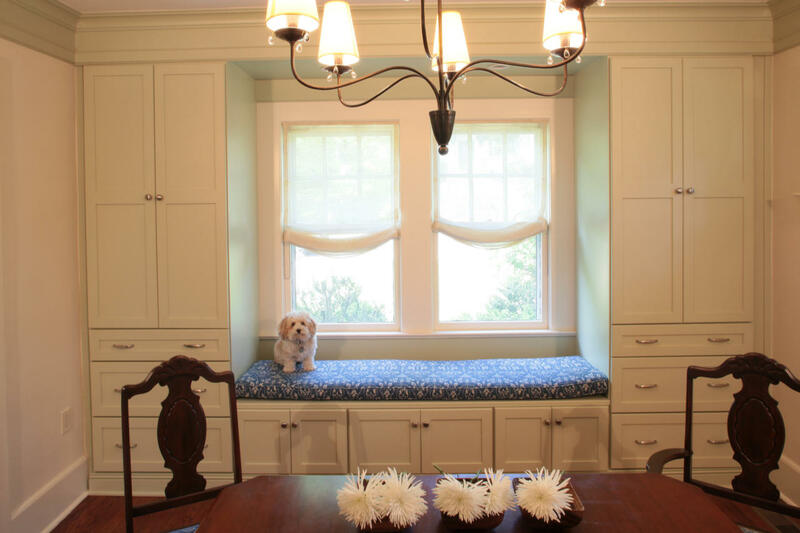 Note storage and built in window seat.